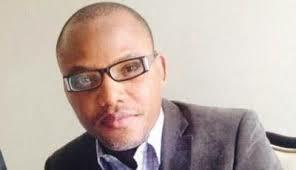 Security information reaching the head office of Biafra Choice Writers show that Nigerian President, Muhammadu Buhari, is getting extremely desperate in his attempts to get Nnamdi Kanu, the leader of Indigenous People of Biafra (IPOB) and Director of Radio Biafra and Television, killed in prison. Our source stated that latest communication from the office of Nigerian Chief of Army Staff, which was signed by Colonel S. Sulaiman and circulated to Army divisions across the country, was part of the plan. He said the communication claimed that Boko Haram terrorist group had concluded plans to attack prisons across the country, across the country. Entitled, “Boko Haram Terrorist Group to attack locations in FCT and other parts of the country, the communication read: “Information at the disposal of this Headquarters strongly point to plans by BHT Group to attack various locations in different parts of the country. “The targeted areas include but not limited to Police stations, prison facilities, schools, market places. Details show that the terrorist group intends to target Police/formations in Abuja, Kano, Kebbi and Sokoto states”. Our source insisted that the communication was actually a cover-up for plans to bomb the prison where the Biafran leader is being held in Abuja under the guise of a Boko Haram attacked. “It is an attempt to take-out our leader rather than release him alive as courts have long ordered” he said.